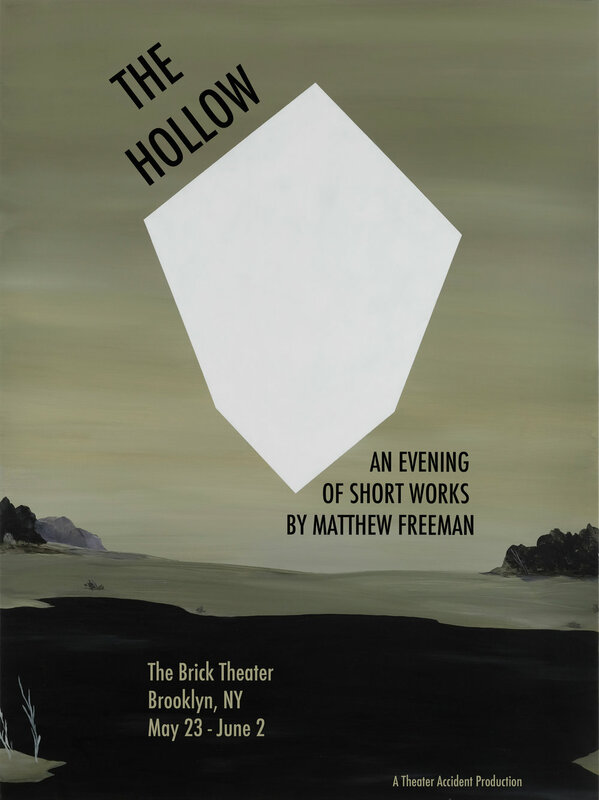 Written and directed Matthew Freeman (writer of the acclaimed The Listeners and That Which Isn’t), The Hollow is an evening of three expressionist short plays that, in Freeman’s inimitable style, explore memory, morality, and magic. in the great expanse of space there is nothing to see but More, More, More follows seven women through the fractured experience of a foreboding diagnosis; a hand emerges from the water is a portrait of harrowing memory; and The Language dramatizes the excavation of an secret, lost language. Featuring: Dee Beasnael, Tammi Clayton, David DelGrosso, Christy Escobar, Susan Ferrara, Robert Honeywell, Rohana Kenin, Sarah K. Lippmann, Moira Stone, Matthew Trumbull and Stacey Weckstein.